Next week taxes are due – are you feeling taxed out? Need a reason to smile? 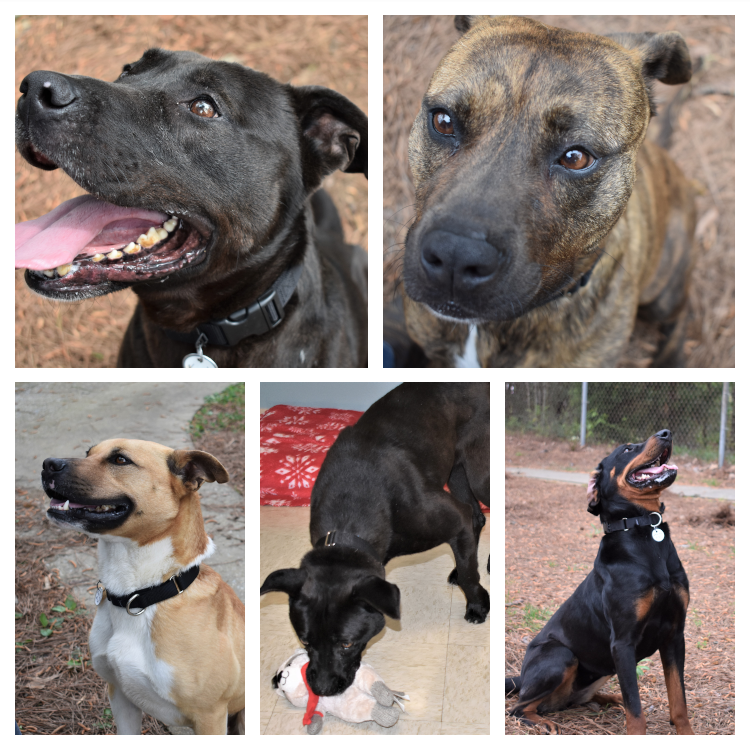 Here’s five – our great group of new dogs from the Calhoun County Humane Society! They are a wiggly, goofy, smiley bunch. Our two boys and three girls are all full grown and ready for a new home. Miss Molly is solid black except for a touch of white on her throat. She’s about six years old and is a black lab/boxer mix. This cute girl has been at the shelter since March 2015 when she was brought in as a stray. 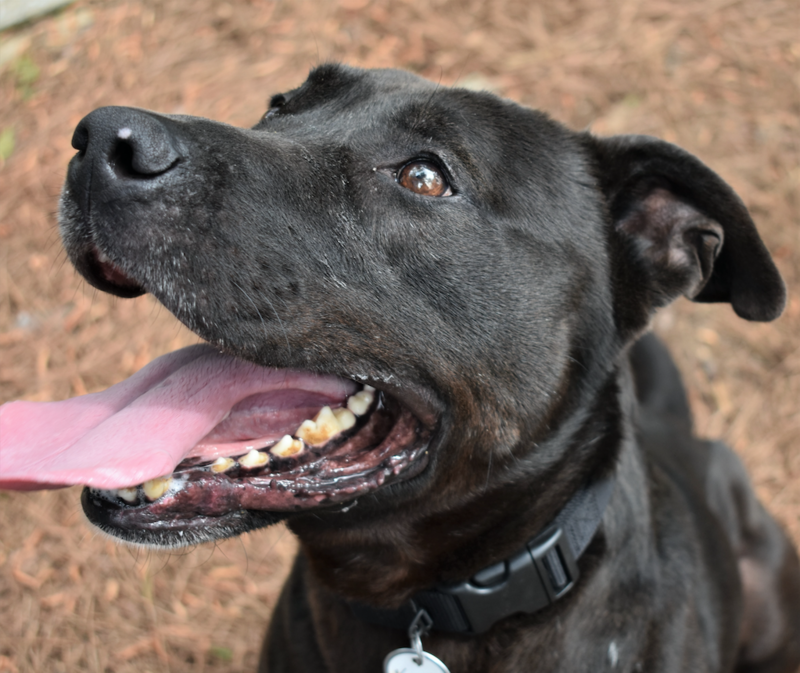 Being a medium sized black dog, she seems to have been overlooked and she is really ready to find her forever home, and a family to help her with those important dog basics like sit and leash walking. She can be skittish to sudden sounds and movements, but when you go slow and give her some petting and attention, she is SO happy! Mr. Kayden and Miss Molly could be cousins – he’s also a black lab mix and just a bit bigger at around 60 lbs. Kayden is a hoot and a holler – he was at Encore last year and is back for a return engagement! He’s about six years old and this hunk has been stuck at the shelter for five of those years. 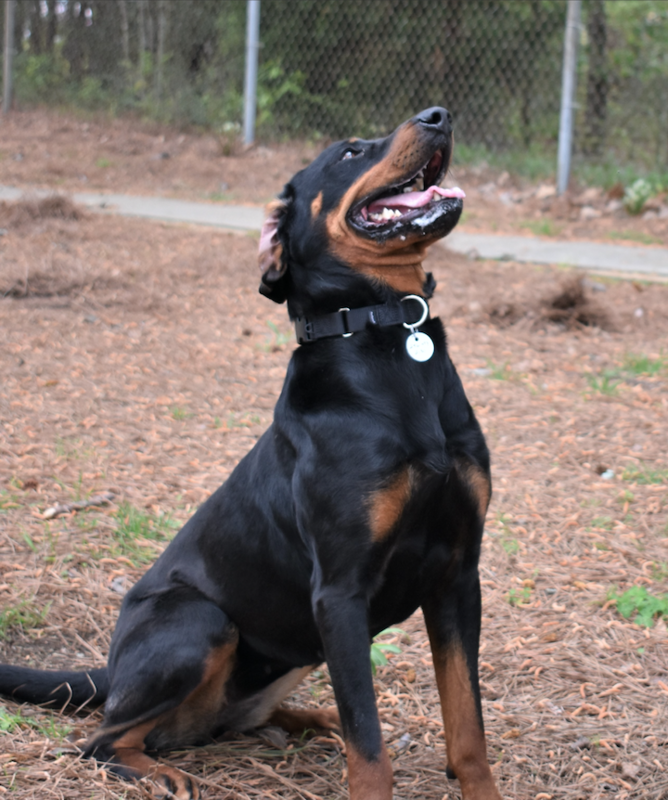 He’s high energy and loves running, jumping and playing with toys. Once he’s had a chance to run, he is ready to work for attention or treats. Anyone out there looking for a hunting dog? 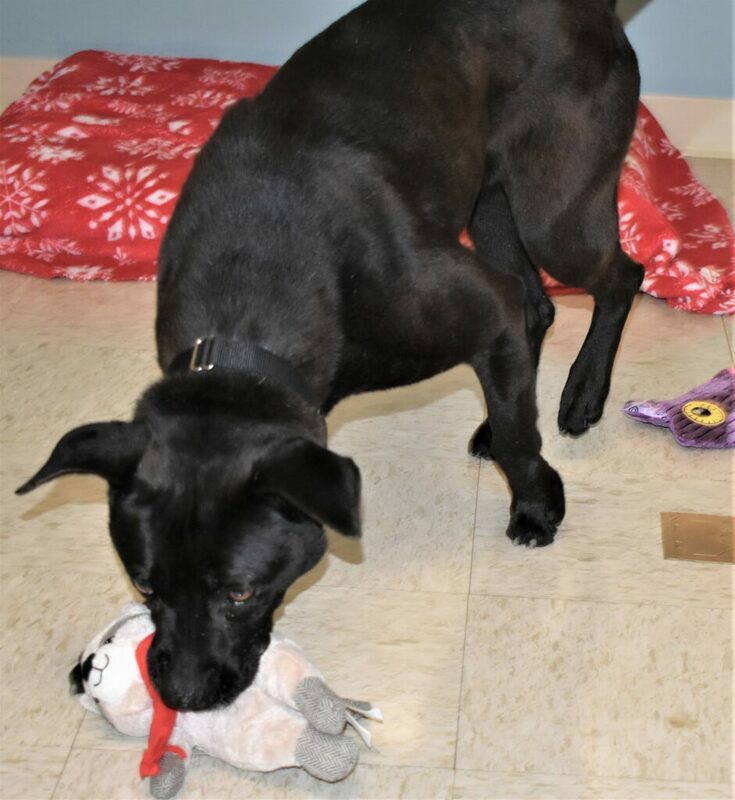 Then look at Tinkerbell, a female black and tan coonhound/lab mix. 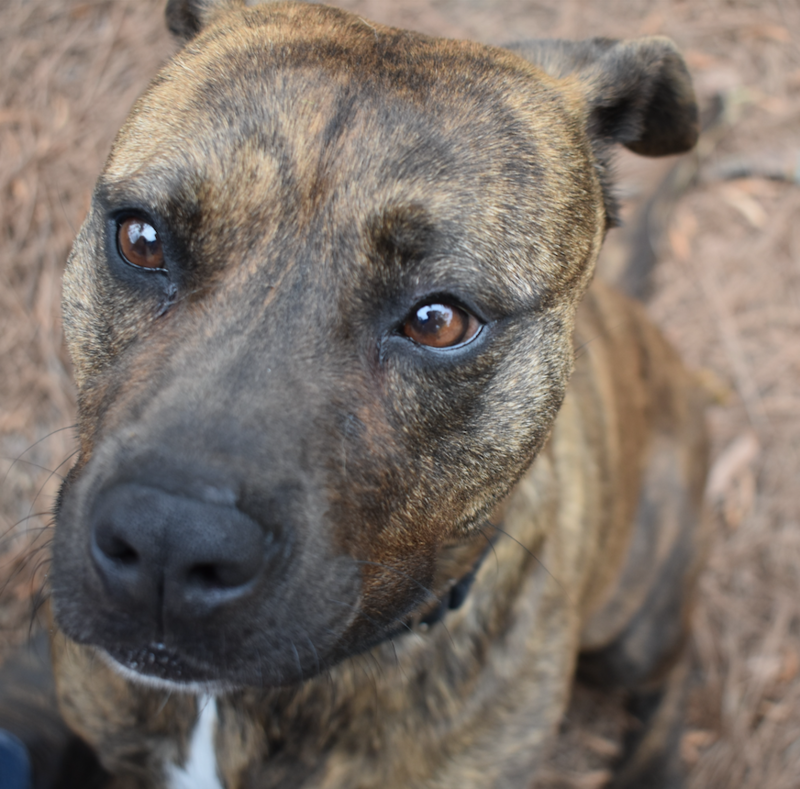 She’s two years old and was just recently surrendered by her owner to the shelter. It would be great for her to get adopted out before she learns any bad habits – right now she is very motivated to learn and work. She knows sit and stay, and loves to catch soft toys and earn treats. 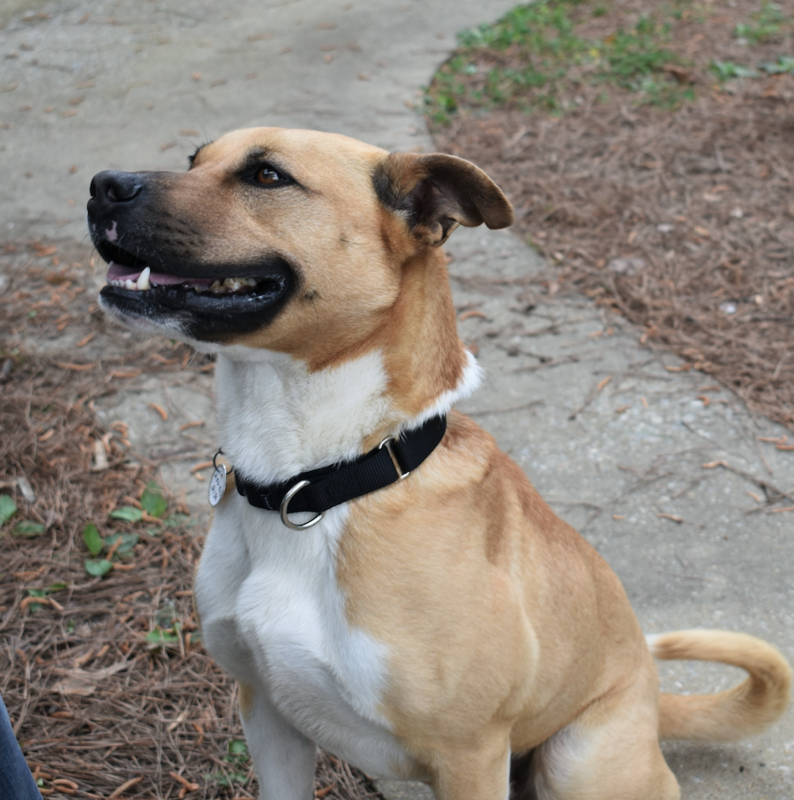 All are available for adoption through the Calhoun County Humane Society.